People living at home and receiving care should enjoy the rights and opportunities afforded to all other members of the community. 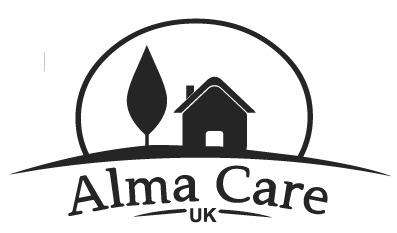 Alma Care (UK) is a family owned and operated limited company. Our personal approach is reflected in the care service we provide as it is delivered to the same high standard of care we would expect for a member of our own family. We are registered with the Care Quality Commission (CQC) as a domiciliary care agency under the Health and Social Care Act. Within the organisation there is extensive experience in the management and administration of care. They are assisted by a very strong care team which upholds the values of the company in the way they deliver, supervise and co-ordinate the care. At Alma Care (UK) we firmly believe that domiciliary care offers a realistic opportunity to many people who need care provided for them to remain living at home. Those people who choose to take this option should receive the maximum information and support to enable them to lead their lives safely and in comfort. The daily tasks of everyday living can be fulfilled by the Personal Assistant. People who have Physical Disabilities have the right to a full and active life. Ensuring the the right medication is taken at the right time. Alma Care (UK) is registered with the Care Quality Commission that sets the minimum standards by which we operate; however in every case we seek to exceed these minimum standards as far as we possibly can. We are also full member of the United Kingdom Home Care Association (UKHCA). Both of these bodies have standards, which set out how we should operate. We also carry Public Liability insurance (£10million). The first carer who we were introduced to was a perfect match for our mother. Emma is thoughtful, kind and caring. She treats our mother as if she were her own mother - nothing is too much trouble for her. I don’t know how we would cope with mother’s Dementia without her. The director was involved in my mother's care for 2 years following a stroke. My mother's confidence in the director was total and therefore so was mine. The director puts the interests of both carers and those they care for, very high on the priority list. I have worked in care for several years. There have been many precious moments where just by helping someone with basic needs, will make a difference and put a smile on their face. I started this company for one simple reason. I want people to receive stress free, kind and caring support. We setup an acceptable routine, reducing if not eliminating your stress to makes your life easier. We allow individuals to maintain their physical and mental independence no matter how little that may be. We play a vital role in ensuring individual’s well-being and helping them through difficult phases. We involve our customers in community based activities, helping them learn new skills and have fun making a difference. We involve Carers, friends and family, to help a person with memory issues to feel valued and included. We help our customers maintain optimum levels of health, eating a balanced diet catering to specific nutritive needs. Raising the Standard of Care for the Elderly.